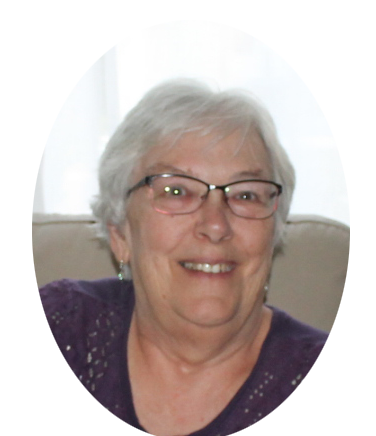 Obituary for Jean Levara Wenig | Grays Funeral Chapel LTD.
Jean Lavara Wenig of Birch Hills, Saskatchewan passed away suddenly at home on Thursday, March 14, 2019 at the age of 72. Jean was born in Vegreville, Alberta on March 22, 1946. She is survived by her husband, Elwood Wenig; her children, Sharon (David) McTaggart, Brenda (Chris) Stewart and Darrel (Janet) Wenig; her adored grandchildren, Lauren, Tyrell, Nicholas, Allison and Shelby and her great- granddaughter Grace. Also surviving her are her siblings: Ivy (Richard) Gabert and Dale (Rose) Withers as well as her sister-in-law: Carrie and her many nieces and nephews. Jean was predeceased by her parents: Guy and Ethel Withers; her brothers: Warren and Norman and her granddaughter: Dayna. Although Jean will be sadly missed, we take comfort in knowing she is at rest with her Savior. An internment will be held at 2:00 pm on Thursday, March 21, 2019 at Prince Albert Memorial Garden and a come and go celebration of life luncheon will follow at Lake Park Baptist Church in Birch Hills. Condolences may be sent to the family at www.grays.ca. Funeral arrangements have been entrusted to Gray's Funeral Chapel.